Christopher Lloyd Smalling is an English footballer born on 22 November 1989 in Greenwich, England. He is the defender of the English national team and for the Premier League club Manchester United. 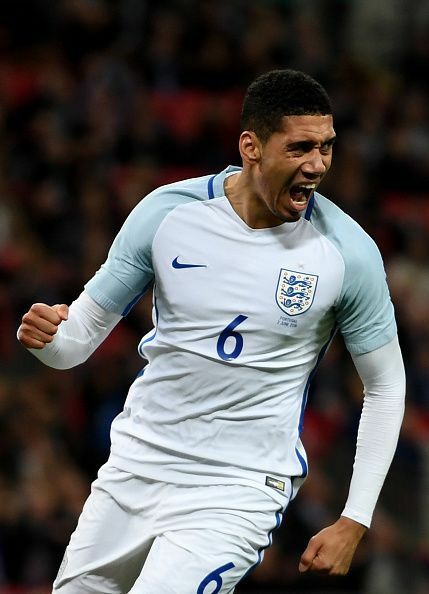 Smalling loved playing football as a boy and played for the Millwall academy and then non-League club Maidstone United. Smalling was selected to represent his county (Kent), and the Kent Schools' Football Association. He was successful with his game and played against Australia during his junior days. He was a triumphant footballer at Maidstone United as well, which indeed opened the gateways of Premier League club Fulham for him in the year 2008. Smalling made his Premier League debut for Fulham in the year 2009 in a match against Everton. Smalling played his first international match for England in a friendly against France in the year 2010. In the year 2011, his gave his senior debut in the UEFA Euro 2012 qualifier against Bulgaria where he played as a right back. In the year 2014, Smalling was included in England's 23-man squad for the 2014 FIFA World Cup. In the year 2015, manager Louis van Gaal was impressed by the gameplay of Smalling and he captained United for the first time during a 1–1 draw against Arsenal. Smalling won the Manchester United Players' Player of the Year award in the year 2016. Smalling began his youth career with Millwall and later went on to play for Maidstone United. In the year 2007, he was absorbed in the senior team of Maidstone United. He also served Fulham for two years. Since the year 2010, he is playing for Manchester United. He has scored 10 goals for United so far. He moved to Manchester United in the year 2010 and his debut took place in the 2010 FA Community Shield in a match against Chelsea. His Premier League debut was in the same year where United won against West Ham United. Smalling scored his first goal for Manchester United, also his first senior career goal in a match against Scunthorpe United in the League Cup.